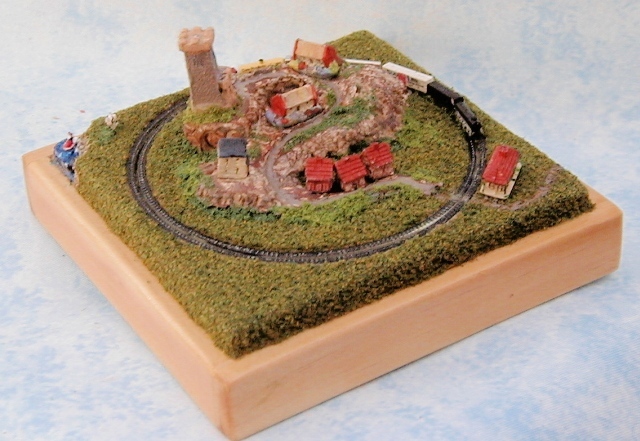 “Jax" has been making trees for around 30 years, although mostly for the railway hobby. She has taught modelmaking at a Further Education College as well as numerous different workshops at shows and clubs over many years. Clubs are welcome to contact us if they are considering a workshop. In the 90’s she wrote for a couple of the Dollshouse Magazines on an occasional basis, although offered a regular column she was still in full time employment teaching in the NHS at the time. Each tree is unique since it is impossible to make two the same, although similar can be done. 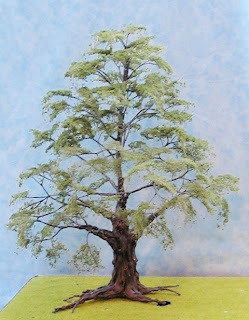 Sometimes research is required before carrying out a commission in order to make the tree as lifelike as possible when it is a species that has not previously been made. Each tree is handsculpted over a wire frame, and sometimes the painting can take as long as making the skeleton. Trees can be impressionistic with foam foliage, or made with individual leaves, sometimes paper and sometimes clay. In addition to being used for dollshouses, wargaming and railway layouts, Ceynix trees have been used by fashion designer Paul Smith as a Christmas window dressing in his Covent Garden shop, they have been used by and appeared on BBC TV and various local TV stations. They have also been used on a film set or two as well as museum dioramas. ¡Que buen artesano! Gracias por acercarnos a él y a su trabajo.